Sunderland might have lost the Checkatrade Trophy final - but the competition did boost the Stadium of Light coffers. 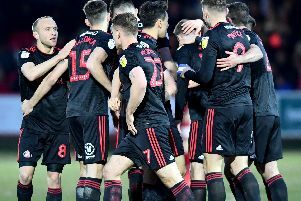 Jack Ross' men made it all the way to the final only to be denied silverware following a penalty shootout defeat to Portsmouth. However, on the financial side of things, the tournament provided a healthy windfall. Before a ball had even been kicked, £20,000 was transferred to Sunderland's accounts for their participation. A group stage campaign consisting of wins over Carlisle United and Morecambe brought an income of £20,000 while a draw against Stoke City under-21s brought £5,000. 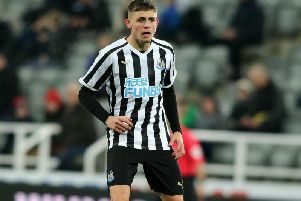 Progression into the knockout stage saw the Black Cats earn £20,000 after beating Notts County while a 'Wear Tyne' derby victory over Newcastle youngsters fetched home £40,000. Money increased to £50,000 after a quarter-final win over Manchester City under-21s set up a last four clash at Bristol Rovers. And because Sunderland's semi-final at the Memorial Stadium was televised, £20,000 came their way as well as £50,000 for winning. For the final, the Black Cats received £50,000 with winners Pompey collecting £100,000. In total from prize money and TV money, Sunderland bagged £275,000 from the tournament - and that is excluding the 30% of the attendance revenue at Wembley they are entitled to. That breakdown is not totally clear as of yet but Pompey and Sunderland can expect a substantial amount in recognition of 85,021 packing out the home of football.